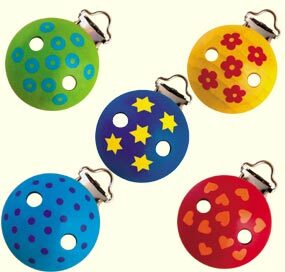 To fasten hanging toys. Wooden knob with a nickel-free clip. Measures 1.4" diameter. Yellow clip shown in picture.